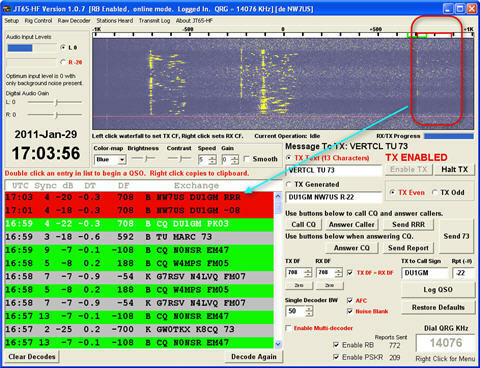 I posted this message in the Technical forum, because of the technical information I have at my JT65A webpage. I think that I should post this here, as well... I hope you don't mind the duplication. ^ Those are very helpful pages on this mode. They got me up and running quickly and properly. Thanks for putting those out on the web. I've been keeping an eye out for your call sign but haven't seen you yet. One of these days though.